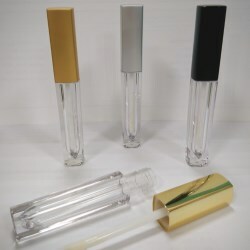 Yuen Myng creates a set of lipgloss packaging that features a transparent PETG component as part of its applicator pod and is an optional material addition to the common white POM pod. 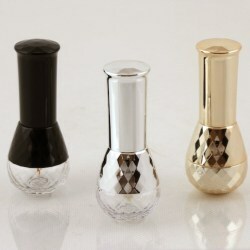 Yuen Myng introduces one of its popular lipgloss packaging that features lipstick bullet shape in heavy-based PETG bottle component. Excitement is tangible in the cosmetic market as Yuen Myng, major player within the professional cosmetic packaging industry, launches its brand new bullet tube. 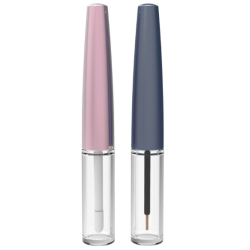 Measuring 107.6mm in height, Yuen Myng's bullet tube is just perfect for eyeliners, lip glosses and mascaras, exemplifying the design team's prowess - a product brands would be foolish to miss. Yuen Myng introduces its new packaging design with tall cap. The original concept developed by the team is to offer a taller cap as bigger handle for users to hold better. 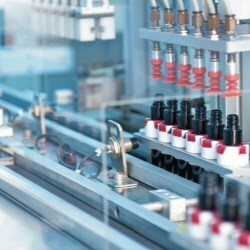 It aims to provide a more stable grip during make-up process. Yuen Myng has developed its new PETG lipgloss packaging with a reduced capacity of less than 3.5ml and an eye-catching reservoir which mimics the form of a bullet lipstick. 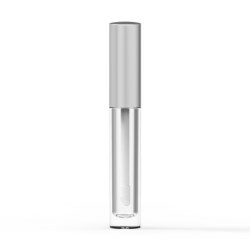 Complemented by an aluminum covered closure, the crystal-clear, transparent PETG bottle enhances the lip gloss color within and benefits the nifty look of an upside-down lipstick shape for the gloss. Yuen Myng's latest packaging design focuses on packaging containers for lip gloss, mascara and eyeliner products with a selection of packaging applicators and brushes on cap. One of its most iconic designs is the PCTG bottle which recreates a crystal wine decanter with a high refractive index and maximum brilliance. 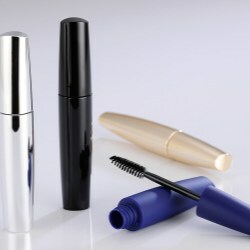 Professional cosmetic packaging provider, Yuen Myng Industries Co., Ltd, has just launched its latest piece of work; the large volume mascara - a robust mascara pack with a brand new look. This new mascara benefits a whopping 18ml product capacity. 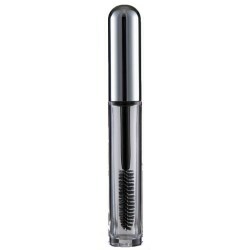 The mascara's voluptuous body design is tailored to modern feminism awareness, and the injection blow molding process ensures an accurately molded neck.